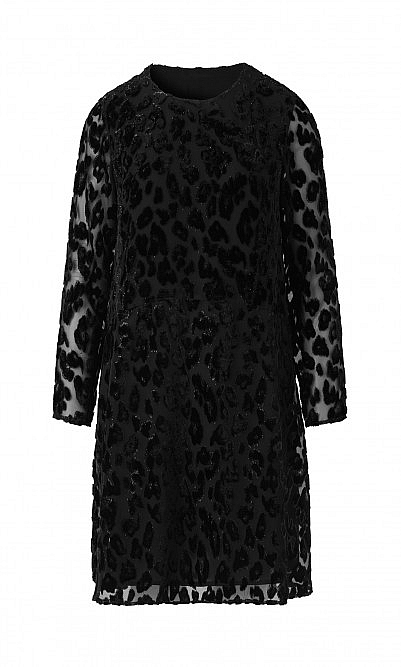 Velvet-devore leopard print dress with sheer chiffon sleeves. Darting creates slender shaping to the top. A-line skirt creates movement. Viscose/poly mix. Dry clean. L96cm.